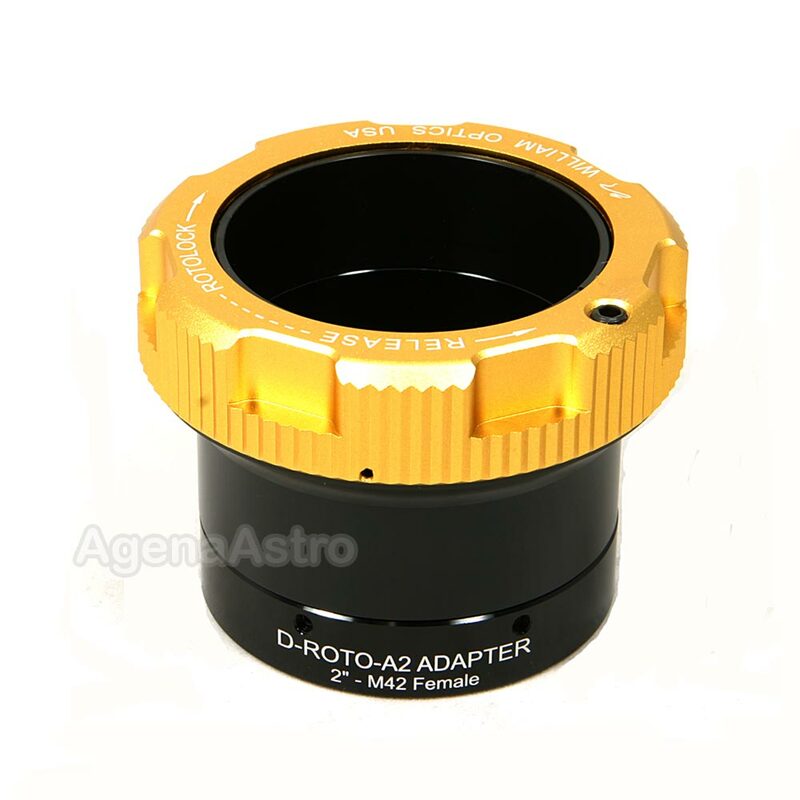 This WO adapter # D-ROTO-A2-M42F has a 2" eyepiece holder on one side and a standard T / T2 female thread (M42x0.75) on the other side. 5.0 WO 2&quot; Roto Lock visual back w/T2 female threads. The thing is flawless. Grips you eyepiece with a plastic collar very firmly, usually just one wrist motion.